How many of these elements does your business card have? 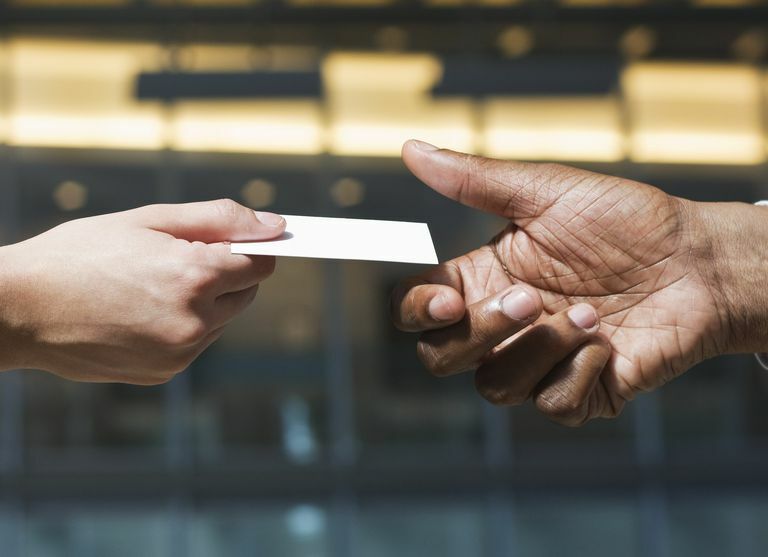 Any business card has at least the name of a person or company and a contact method — either a phone number or an email address. Most business cards have substantially more information than this. Check out the 11 types of information that can be included on business cards and decide if you have just enough information on your card or you could stand to add some. Not every type of business card has to have the name of the individual, but it's a nice personalized touch. In a large organization, it can be beneficial to the recipient to have the name of a specific person to contact. The name of the individual or the name of the business or organization is usually the most prominent text element of a business card. A business card almost always has a business or organization name on it. The name of the individual or the name of the business or organization is usually the most prominent text element of a business card. An organization with a highly recognizable logo might de-emphasize the business name in size or placement, but it is usually an essential piece of information. A physical address or a mailing address or both are typical parts of a business card. If the company does business exclusively online or by mail, a physical address might not be an important element to include. If both a physical and mailing address are included, it may be desirable to label each one. Multiple numbers typically include voice, fax, and cell but you can omit any numbers that are not the preferred method of contact. Don't forget the area code or country code and your extension, if you have one. Using parentheses, hyphens, periods, spaces or other characters to separate numbers in a phone number is generally a matter of preference and custom but be consistent in whatever method you choose. 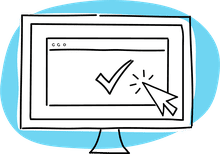 Including an email address is an important element for web-based businesses but other businesses or organizations might omit this form of contact unless it is one of their preferred methods of contact. Today, it's almost a requirement that there be an email address to be considered a legitimate business. Web addresses can be listed with or without the http:// preceding the URL. As with email addresses, it is an essential element for web-based businesses but increasingly important for any type of business. Not a required element, some entrepreneurs or sole proprietors might include "President" or some other title to give the appearance of a larger organization. A tagline or brief description can be useful when the business name is somewhat ambiguous or doesn't clearly convey what the business does. Taglines can also convey benefits and features. A logo used consistently on business cards and other print and electronic materials help to establish a company's identity. Small companies without a logo may choose to use generic or stock images or a custom illustration that reinforces what the company does. Small graphic embellishments or boxes might be used to separate blocks of information. A long list usually clutters up a standard size or mini business card but when using two-sided or folded designs, a bullet list of services offered or main product lines can extend the usefulness of the card. That's a long list to fit on a business card. Pick the elements that are most important to you and your business.